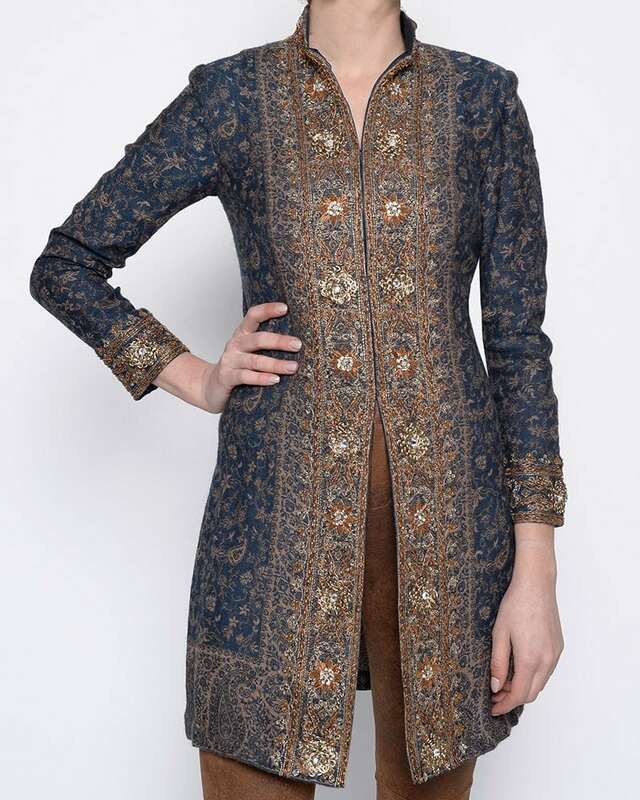 3/4 Nehru Jacket in navy beige paisley shawl with Gold Rosette embroidery around cuffs, collar and down front edges. 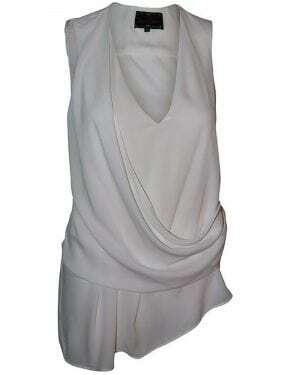 Invisible hook and eye fastenings down front. Side slits. Unlined. 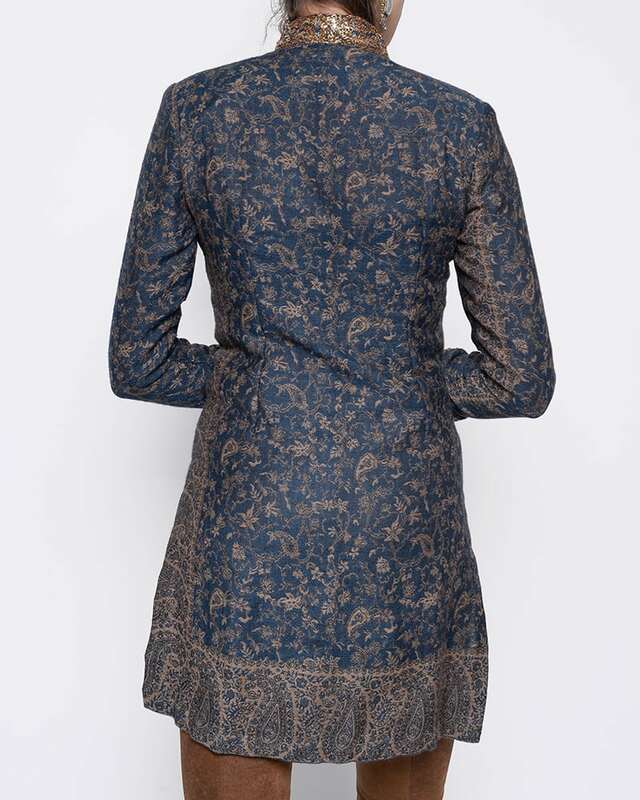 Paisley pattern may vary from picture.